Food Safety and the Environment: Can We Have It All? There was an interesting story on NPR today. “How Making Food Safe Can Harm Wildlife and Water” discusses how issues relating to reducing the risks of E. coli and other food borne illnesses in the field prior to harvest can, in fact, be deleterious to the environment. This may seem counter-intuitive. Shouldn’t things that help to improve food safety also be good for the environment? Not necessarily. Environmentalists are trying to protect against bare land that leads to erosion while also providing habitat for animals and insects that can be good for crops. The downside is that these animals and insects can also transport E. coli into fields and potentially lead to food safety issues such as occurred with bagged spinach from the Salinas Valley in 2006. According to the story: Environmental advocates say a single-minded focus on food safety has forced growers of salad greens to strip vegetation from around their fields, harming wildlife and polluting streams and rivers. It’s an interesting story and well worth the few minutes it takes to listen to or read it on the NPR website. But, unfortunately, the issue with food safety doesn’t stop in the fields. As Dr. John Ryan points out in an interview with The RFID Network (find it on our video page from January 26), even the most stringent food safety efforts in the field can be completely wasted if produce isn’t properly handled and monitored in the cold chain. 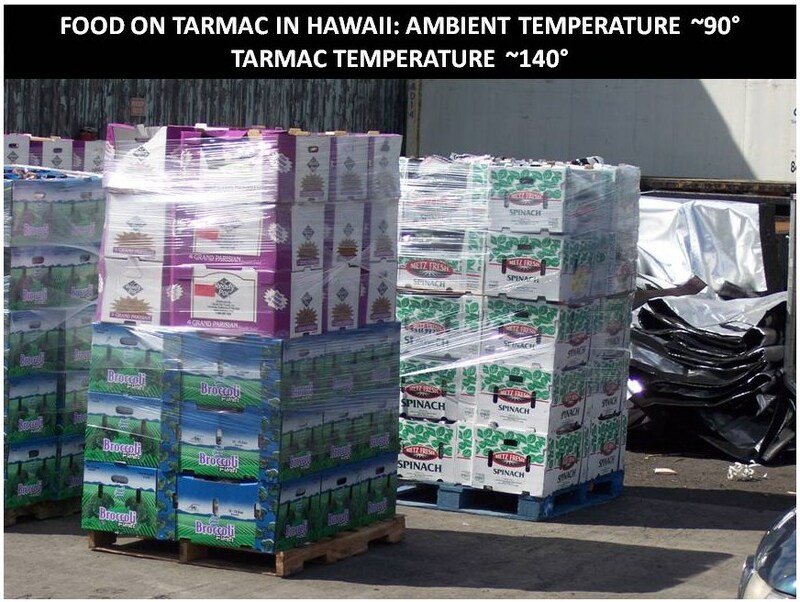 He points to cases of bagged spinach and broccoli shipped into Hawaii that sat on a hot airport tarmac for hours. Such storage conditions can provide a rich environment for the growth of unhealthy pathogens on produce.